What Would The Founders Think? 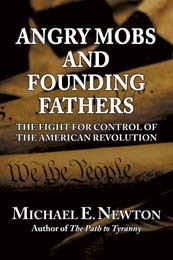 posted a great review/summary of my new book, Angry Mobs and Founding Fathers: The Fight for Control of the American Revolution. Michael Newton’s latest book, Angry Mobs and Founding Fathers, is a densely packed, meticulously researched, compendium of historical knowledge. Newton has done a great job assembling a formidable bibliography1 of both original sources and the works of respected historians, synthesizing them into an exposition of the forces responsible for the American experiment. Newton documents the disparate roles played by “angry mobs” and by “Founding Fathers.” These two forces were not always in sync with one another. At times the irascible mobs were in control, and the aristocratic Founders struggled to reign them in, guide their passions, or even just keep up. At other times, like during the period of Constitutional Convention, it was the Founders who struggled to convince the masses of the efficacy of their plans. Thanks to James Best’s masterpiece, Tempest at Dawn, I felt like the 56th delegate at the Constitutional Convention. Using vivid narrative and expressive dialogue, Tempest at Dawn presents all the major issues the Founding Fathers struggled with. More impressive, you get to know the character of the men who created our great nation. Tempest at Dawn is based primarily on Madison’s notes to the Convention. Mr. Best adds to the story events that happened outside of the State House. It is a true credit to the author that it is difficult to tell where Madison’s notes end and the author’s speculations begin. 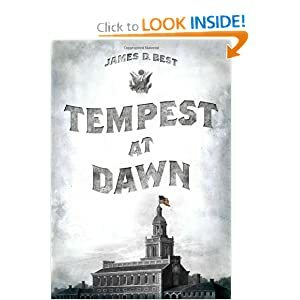 Keeping in mind that Tempest at Dawn is historical fiction, it is a must read for anybody who wants to understand the principles and efforts that went into creating the Constitution and struggles to create our nation. Bill of Rights. Good, bad, or indifferent? By listing certain rights, other are ignored and those in power will infringe on those unlisted rights, even if they are included in the ninth and tenth amendments. On the other hand, it is possible the government would have more easily infringed on our rights if they were not written down for posterity. Maybe the Bill of Rights has made no difference in either direction as the Constitution is increasingly ignored and reinterpreted. 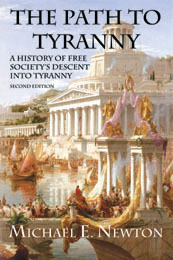 The government has simultaneously grown its power and reduced our rights so that the Federalist argument against bills of rights and the Anti-Federalist argument for them turn out to be the same thing: different methods of limiting the growth of government, both of which failed over time, but only after working well for many decades. I must admit that I have an ulterior motive in bringing this up. I am writing about this in my next book. I’d love to hear your thoughts. (And if you have a great idea or quote, I may even quote you in my book.) So please, comment below.